Scotch whisky’s biggest producer has unveiled a mixed set of results for the past year, complete with highs, lows and subtly evolving trends. What does it say about Scotch’s place in the world in 2016? Richard Woodard investigates. Scotch whisky is of vital importance to Diageo, the world’s biggest spirits business, accounting for just under one-quarter of its annual revenues – in other words, roughly £2.5bn a year. As the owner of 28 malt distilleries, Scotland’s largest grain distillery and the best-selling Scotch whisky in the world – Johnnie Walker – Diageo accounts for almost one-third of the industry’s total capacity – so it’s no surprise that its fortunes are closely intertwined with those of Scotch as a whole. This almost symbiotic relationship is illustrated by Diageo’s latest set of full-year results, covering the 12 months to the end of June: the picture is one of continuing but softening volume decline, coupled with a somewhat rosier picture in terms of revenue. In other words, people around the world are buying slightly less Scotch, but they’re spending more money on it when they do. That’s a trend that is broadly reflected across the industry as a whole. Diageo’s Scotch whisky sales fell 3% in volume terms last year, on top of declines of 4% and 5% respectively in the two previous years; meanwhile, revenues rose 0.4% in real terms last year, following declines of 5% and 1% before that. It’s a performance that is getting better, but only slowly, for all its characterisation by Diageo CEO Ivan Menezes as a ‘significant improvement’. No surprise that the company has made ‘Growth of Scotch Globally’ one of its three key focus areas for the year ahead. It’s a classic glass half-full/glass half-empty moment for Diageo. Volumes of almost all of its leading brands fell again last year (Bell’s was flat; Black and White’s sales soared by 31%). But strip out J&B’s worsening declines and all the leading blended whisky brands registered improved performances compared to the year before. While blends have suffered in the past few years, malts have continued to surge ever upwards. That trend continued last year, but was less pronounced than before: volumes up 8% (versus rises of 11% and 12% for the two previous years); real terms revenues up 7% (versus rises of 16% and 18%). There are a few possible explanations for this slowing of growth: stock constraints, price increases dampening demand and the growing maturity of the malts segment – the bigger that market becomes, the harder it is to keep expanding it at the same rate. A wealth of local detail underpins these global trends, much of it linked to macroeconomic developments – the political and economic volatility that shapes all of our worlds. 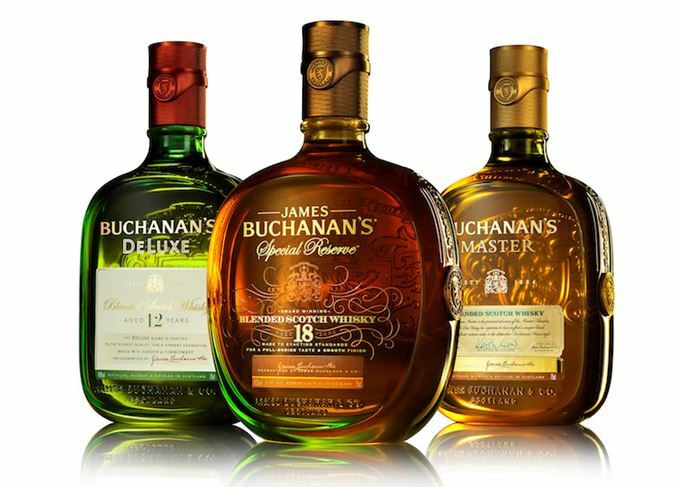 North America – particularly the US – is a vital region for Scotch, and one where Diageo’s fortunes improved in the past year, thanks to revenue increases for Johnnie Walker (+7%) and Buchanan’s (+9%). Value grew ahead of volume in both cases: Johnnie Walker’s volumes were flat, but a 23% revenue increase for its higher-priced reserve expressions boosted its overall performance. The company’s Europe, Russia & Turkey region enjoyed mixed fortunes: declining market share in Russia (thanks to price increases linked to the falling rouble); good growth in Turkey (Johnnie Walker up in double digits); and a generally improving picture across Iberia, central and northern Europe, and Italy – despite the worsening decline of J&B. Johnnie Walker also did well in South Africa, but intense competition at the lower end of the market impacted the likes of Bell’s, White Horse, J&B and Black and White. Latin America and the Caribbean is another mixed bag, headlined by continued weak consumer demand in recession-hit Brazil and punctuated by pockets of brightness (Colombia, Mexico, Peru, Chile) and gloom (Venezuela). Similarly, Asia-Pacific exhibits signs of huge promise and great disappointment for Scotch. In China, once the shining star of the industry’s export performance, Diageo’s Scotch sales slumped by a further 42% last year; but in India, revenues rose 17% on strong performances from Johnnie Walker and local brand Black Dog. Meanwhile, Thailand declined and Vietnam was hit by tax increases, while consumers in South Korea continued to turn away from mainstream Scotch brands such as Diageo’s Windsor, in favour of lower-abv alternatives (of which Diageo has Windsor spin-off W-Ice). Pulling all of these strands together, the two dominant industry trends of the recent past – blends declining, malts growing fast – are seen to be evolving and softening in these figures. There’s also a degree of polarisation in the performance of Diageo’s Scotch brands over the past year. The big successes – single malts, Johnnie Walker’s higher-priced reserve expressions, including the returning Green Label, and the surge of relatively low-priced Black and White – have come at either end of the value spectrum. Finally, these figures also reinforce the vital point that, for all the column inches devoted to malts, their performance has only a limited impact – whether positive or negative – on a company of the scale of Diageo (or, for that matter, on an industry of the scale of Scotch whisky). Blends continue to dominate, in terms of sales and in terms of both the company’s and the industry’s priorities – and that will continue for the foreseeable future.